Santa Barbara boasts some of the most incredible terrain for locally-sourced fresh fruits and vegetables, so it is no wonder that our special event menus’ freshness is one of our distinguishing hallmarks. 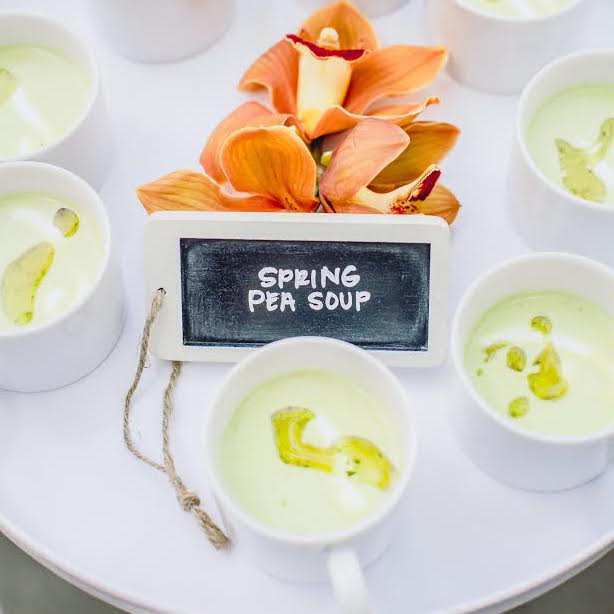 Because we are passionate about exquisite food and service, when we customize a menu for your Santa Barbara wedding or event, there are several things we look at: 1) What are your personal preferences – what do you love? 2) What is the setting of your special occasion (often times certain settings will inspire certain menus, or specific meal presentation styles are better suited at certain venues) 3) What do you want your guests to experience (an intimate, sit-down experience? A mobile cocktail-style dinner feast where guests can mix and mingle? A sumptuous buffet? An interactive culinary experience where guests engage with the Chefs?) 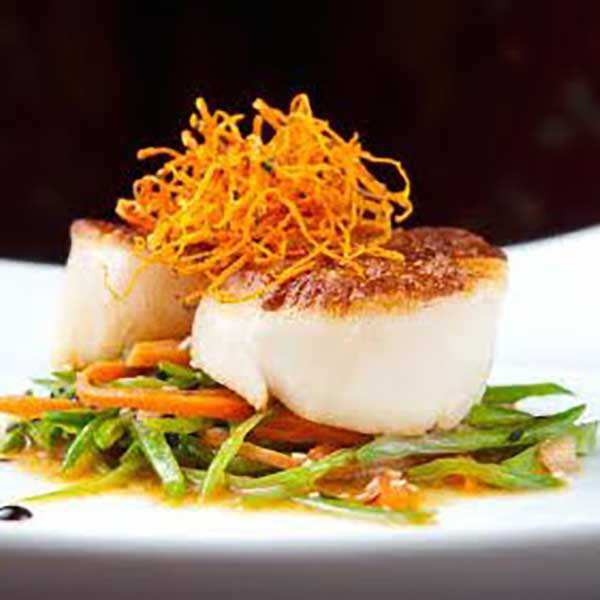 4) what is in season and going to be most rich and delicious for your Santa Barbara event menu? 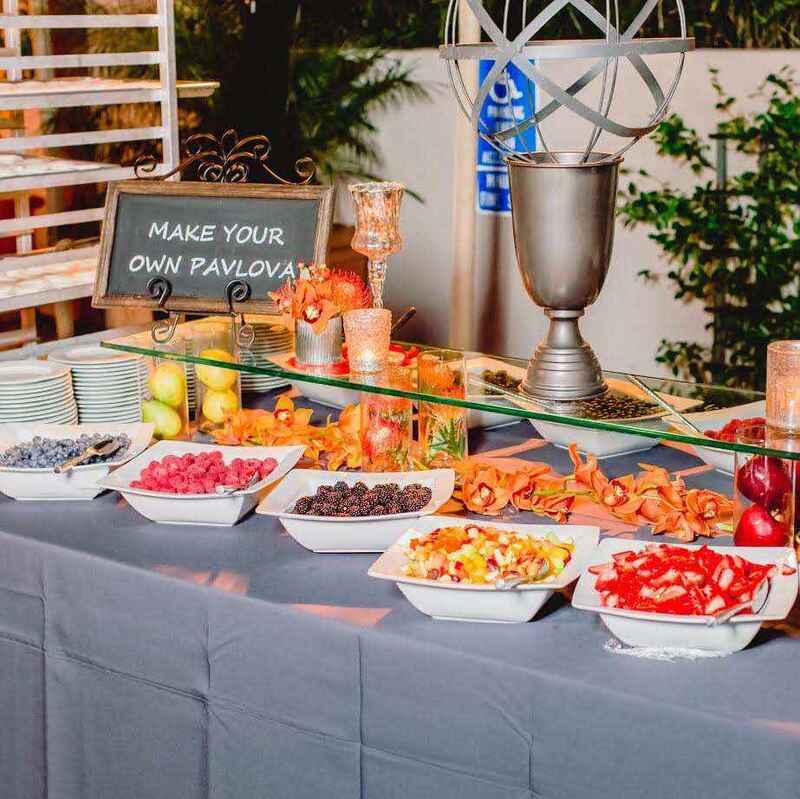 Once we determine the above, we go to work preparing a custom menu proposal for your special event which includes all the juicy details your guests will enjoy from start to finish. Because we are a full service caterer, we will also include service staff and rentals in our menu proposal so you have a full working idea of your investment for your spending plan. We work with you to continue to tailor it to your needs. See something that is pushing your budget a bit? Ask our event planning expert and allow him to find a suitable substitute to help work within your budget. We know that as with all event planning, it is a work in progress and we welcome the continuation of the conversation through the planning stages until we have it just perfect for you (but here’s a hint: usually we get it pretty right on the first run, saving you a lot of time and money). Santa Barbara offers all the picture-perfect dream locations one could want for any type of event, so it is only fitting that your menu should complement this world-renowned setting. No matter what your special event: from corporate meetings, picnics, parties, drop-off breakfasts and lunches to weddings, holiday gatherings, birthdays, anniversaries and more, we have a variety of menus to tempt you. For us, creating a memorable event that you as the host – and your guests- will be remembering for a long time after the event is our primary goal. We know that delicious food pared with all the right accompaniments is what makes coming together one of life’s most essential and gratifying experiences.